This very attractive four/five bedroom family residence extends to c2,200sq ft of flexible and adaptable accommodation, and is located just one mile from Annaghdown, in a private cul de sac. The property is located close to the local national school, Annaghdown Pier, church, and all community facilites. 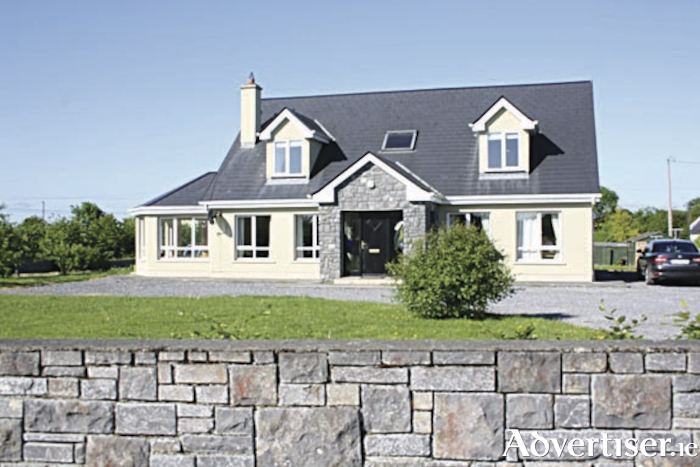 It is also close to the shores of Lough Corrib in a desirable location and just 11 miles from Galway city. Accommodation is adaptable and comprises entrance hall, open plan kitchen/dining/living and conservatory, family room/study/playroom, utility, wc and whb, bedroom and en suite on the ground floor. At first floor there are three bedrooms, one en suite, and a large family bathroom. The house has a southwest orientation. According to the agent this is a very attractive light filled residence on c0.6 acre site. The house is very well designed for family living with large functional open plan spaces and close to community facilities. Contact Keane Mahony Smith auctioneers at 091 563744 for further information.